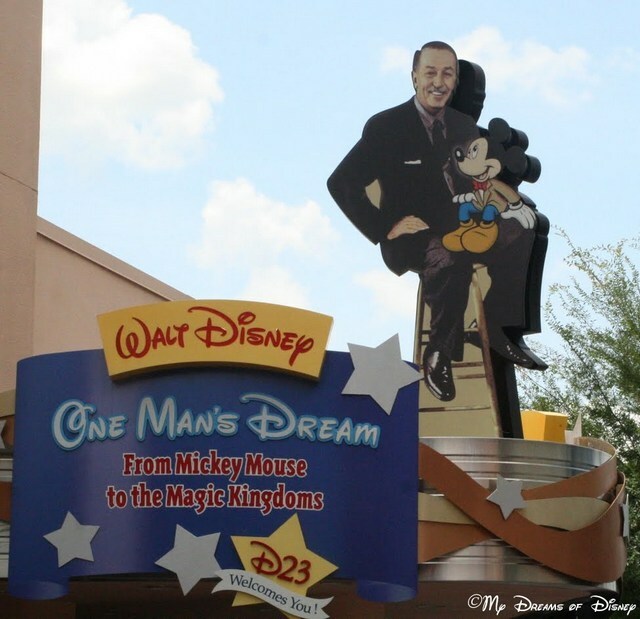 This Day in Disney History: One Man’s Dream opens up at Disney’s Hollywood Studios! Hello everyone, and welcome to Tiggerific Tuesday Trivia, the trivia post that shares with you a little tidbit of Disney trivia! Along with our leader Jodi from Magical Mouse Schoolhouse, I am joined by Jenn from Disney Babies Blog and Heidi from Heidi’s Head! Thanks for stopping by to hear what we have to share with you! Today we’ve got an anniversary to celebrate — the 12th anniversary of the opening of One Man’s Dream at what was then Disney-MGM Park! A new attraction “Walt Disney: One Man’s Dream,” showing memorabilia about Walt Disney’s career and heritage to the public for the first time, officially opens at Disney-MGM in Florida. The attraction has been in soft-openings for the last few days and will officially be dedicated October 1 for the start of Walt Disney World’s 100 Years of Magic celebration. In addition to this anniversary, we’ve got a second bit of trivia for you! I hope you enjoy it! Disney’s Mickey Mouse cartoon The Brave Little Tailor is released. Mickey, the tailor, kills “seven flies with one blow.” The king, thinking that Mickey is talking about giants, sends him out to kill one, and offers him the hand of the Princess Minnie in return. The most elaborate and expensive Mickey Mouse cartoon ever produced to date, it will be nominated for an Academy Award. Now, for a little enjoyment, here’s the video of The Brave Little Tailor! Now, go check out the rest of the entries, and thanks for stopping by! Tiggerific Tuesday Trivia – Sleeping Beauty Castle! Tiggerific Tuesday Trivia – Disneyland Hidden Mickeys! Aww- the Brave Little Tailor. One of my favorites for sure! Seven in one blow! We LOVE One Man’s Dream. It’s one of those attractions that we go back to over and over again, and take TONS of pictures of and it never gets old. My husband wanted to go through there the last time we went, but Tigger and Piglet appeared so I chose to get pics with them and then our fast pass time came so that is one attraction I haven’t seen yet. Adding it to my to -do list. I have never visited One Man’s Dream. It sounds like a great attraction and if definitely on my list for my next trip. The Brave Little Tailor is such a classic! Love it! It sounds like I need to visit One Man’s Dream now! Thank you for the info! What fun! I think too many people overlook One Man’s Dream. It really is a treasure! Brave Little Tailor is cute! Loved that Mickey cartoon! Thanks for the post! Aww I had never seen the brave little tailor, that’s so cute! Previous Post: Get ready for Epcot Future World!